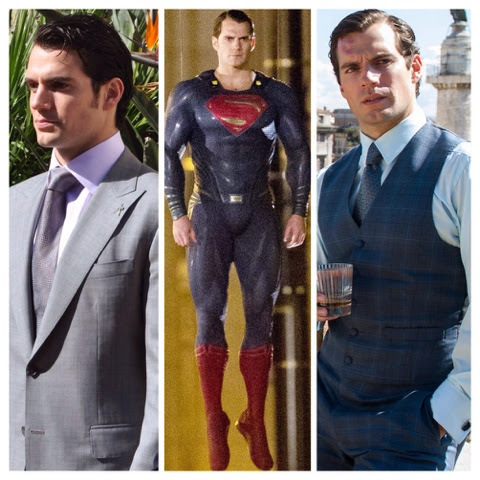 2015: Let's Get This Show On The Road, Henry Cavill! The new year is almost here, and as we look ahead to Stratton, The Man From U.N.C.L.E. 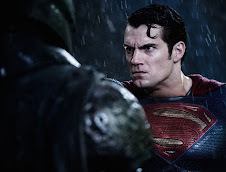 and Batman v Superman promo, we also want to bid goodbye to the awesome moments we're leaving behind. Our Best of 2014 wrap, begins with your choices for Best Fan Picture & Best Surprise of the Year..
"The pure unashamed joy of her coupled with the bemusement of him is the essence of fandom. These two pics belong in a Hall of Fame!" 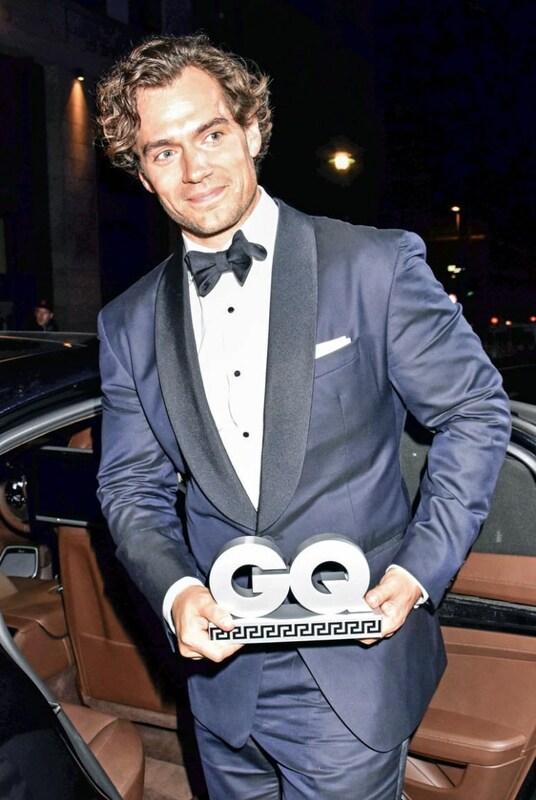 For 'Best Surprise of the Year' there was no beating Supes in his wet suit. 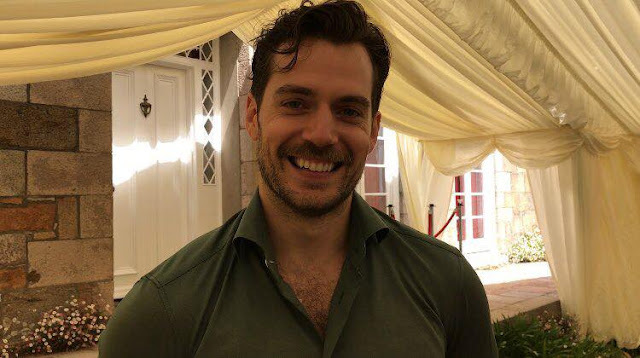 Both his charity announcements (Durrell/RMCTF) got plenty of support, but it was Henry doing the Ice Bucket Challenge with Amy Adams, that got the most votes. 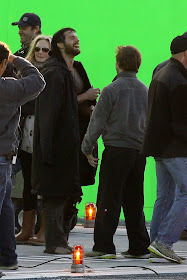 2014 started with the thrill of waiting for Batman v Superman to begin filming, and ended with a wrap in New Mexico and the painful realization that we have to wait until March 25, 2016 to watch it. In between though, we got plenty of set and promotional pictures to keep us going, including our exclusives and some more great shots by @bananadoc. 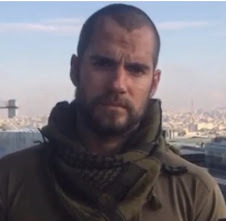 And who can forget Henry as Superman in Star Wars... Blew. Our. Minds. There was also Comic-Con, the *huge* Stratton announcement, and fan pics galore from Detroit, Chicago, London, then more Detroit, Chicago, El Paso and Deming. 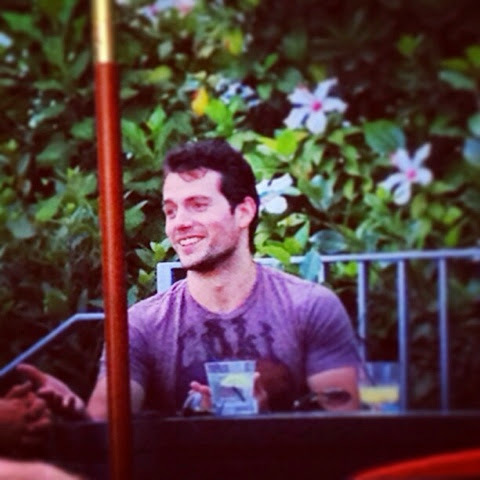 Oh, and don't forget Jersey and L.A. -- Henry gets around! (much respect, Superman). 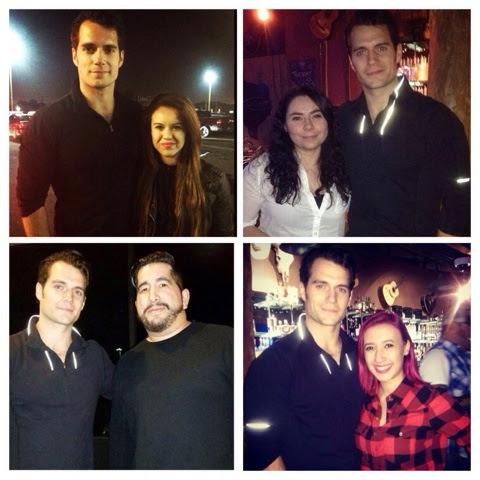 Last time we checked in with Henry was at the end of October, as he participated in the Gibraltar Rock Run. He had a message for you that you really want to watch, because it came from his heart. Thanks for all your support for Henry and the blog in 2014. We look forward to bringing you much more on him and his projects and charity work in the coming year. Happy 2015 everyone! 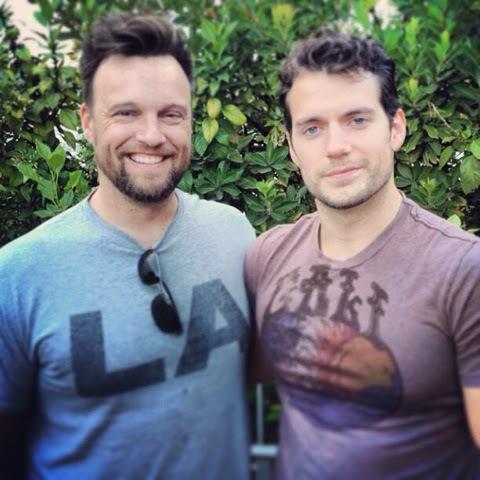 "Got to hang with #Superman #Santa Monica #BestDayEver #Beachlife #HenryCavill"
We were reeeally holding out for a new pic of Henry (current status: stage 11 1/2), but the power of our #tshirtlove is stronger. Today P.J. Palmer re-tagged his pic on Instagram (paxjava), after meeting him in May of 2013. He had more photos to share from that epic day, which are all new to us. 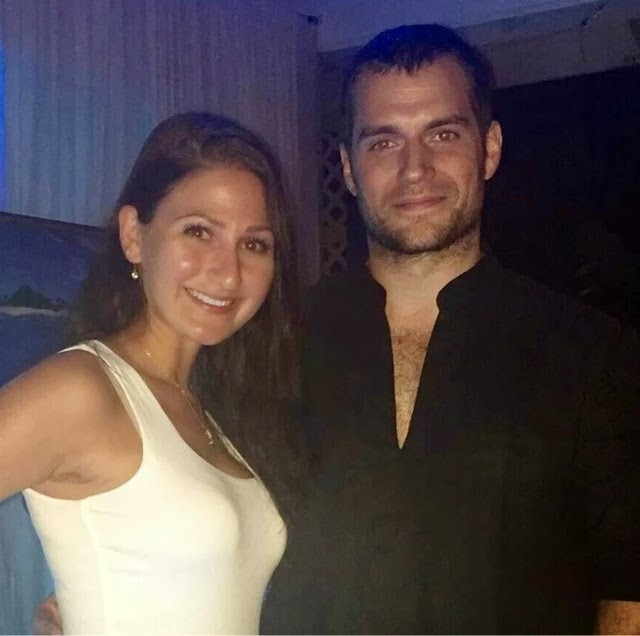 They're awesome, and will have to do until Henry stops torturing us wraps up his holiday break, and some lucky fan gets to meet him and shares their photo. Hopefully soon. We beg you. 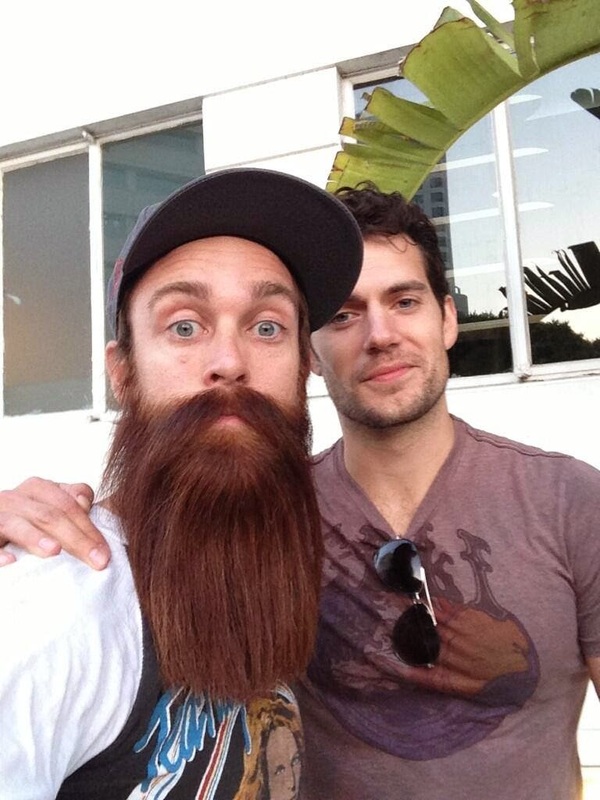 UPDATE 1/4: @Mynameisrazzle2 also met Henry that day, now that's a SUPER beard! 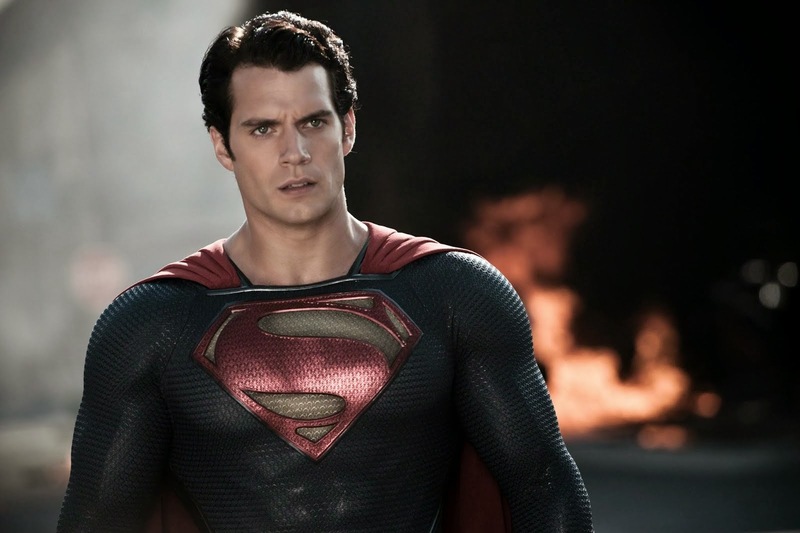 As we look ahead to the new year, here's the latest on the films that will keep Henry busy for most of 2015. 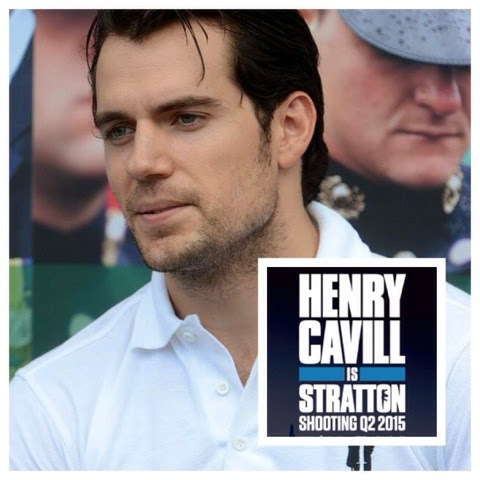 First up an update on Stratton, from the man who created the character who Henry will embody on the big screen. Duncan Falconer posted his holiday message, along with a production thumbs up. Its role was and continues to be carrying out daring, undercover raids using the element of surprise possible with small, highly-trained teams. Members of the SBS are elite military personnel who show physical and mental aptitude to make the step up to the next level. SBS members have served around the world since the 1940s, most recently in Afghanistan and Iraq. Given the nature of their work, little is known about the individuals who are part of the unit. Oh yeah, this is a job for Henry alright, he's got this. Look for news on this project as filming gets closer. John Stratton, we're ready for yah! 2015 will also be Solo's year, as The Man From U.N.C.L.E. hits theaters in August. 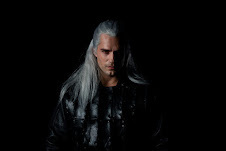 The first stills from the film are now being released, and they tease the action that's to come. 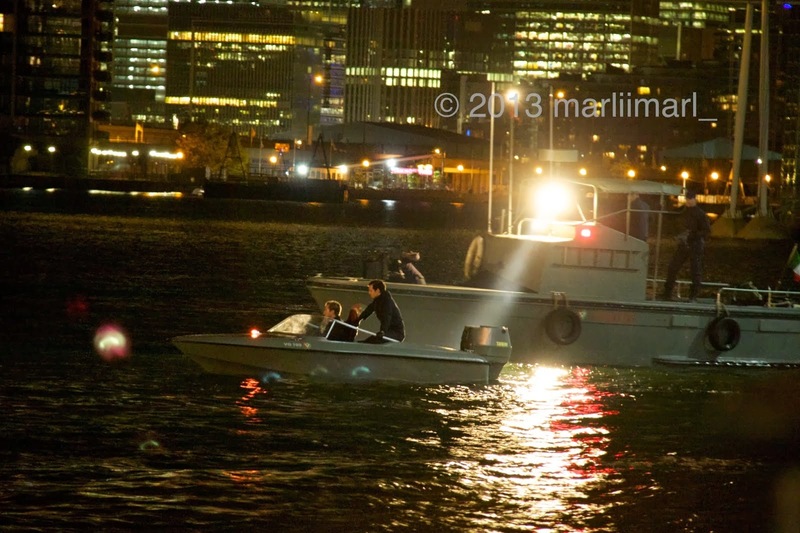 Looking at that new picture a little closer, we're thinking it matches up with this scene below, that was among the set exclusives shared by marliimarl, along with a play by play during filming. Check it out. 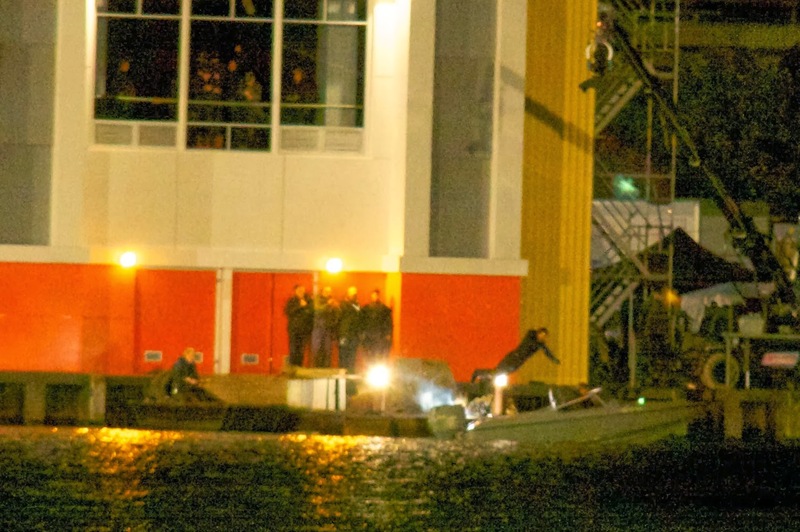 Henry is definitely on that boat along with Armie in this other pic. See the rest of our exclusives from the shoot. 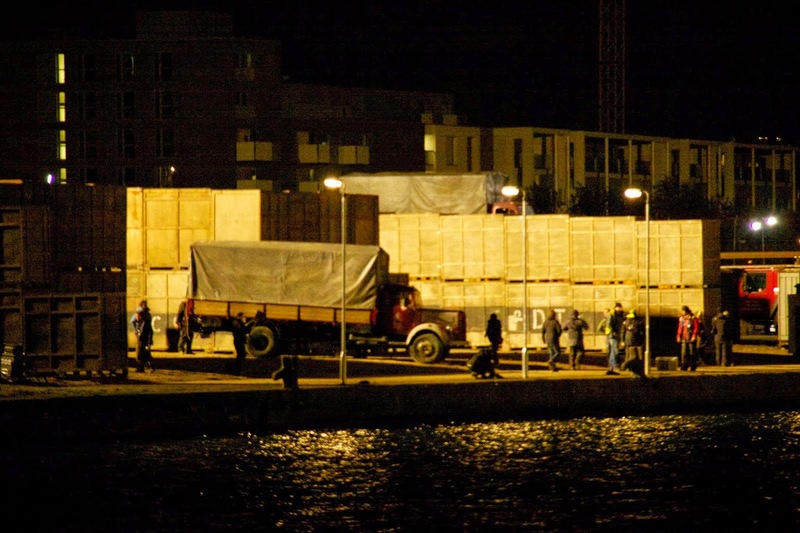 We knew this truck on that set seemed familiar, but for the longest time we couldn't place it. 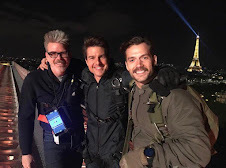 Then this month stuntman Andrew JP Taw posted a video (via Laney Boggs 2001) of a stunt that would later involve Henry. Bingo! - we can't wait to see how Solo handles himself underwater. As for Supes, Raymond had the right idea. 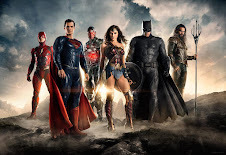 Perhaps if we had all left Batman v Superman cookies for Santa we might have gotten a trailer for Christmas #bygones... the countdown to the Super Bowl is on! (please, please, pleeeease). 2015 is shaping up to be a very busy year for Henry, and we are so ready to bring you the latest as it happens! P.S. We love you guys. This is the post where we blame Henry for our misery. 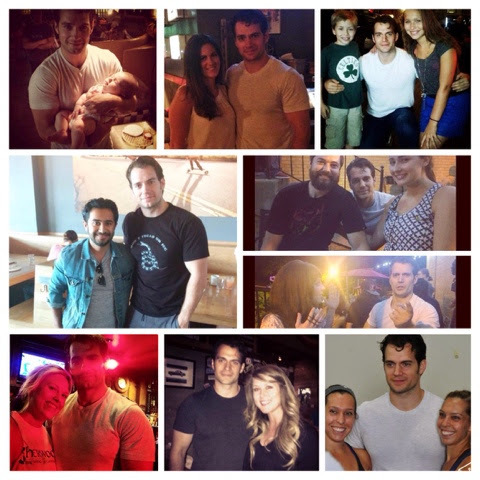 Yup, he's been SO awesome with his fans all year long, that when a week *or three* go by without any new pictures we basically start having withdrawals. Thanks for spoiling us Superman! In our desperation quest to fill the time between photos, we've come up with "The 5 stages of waiting for a new Henry Cavill pic to hit." In gifs. 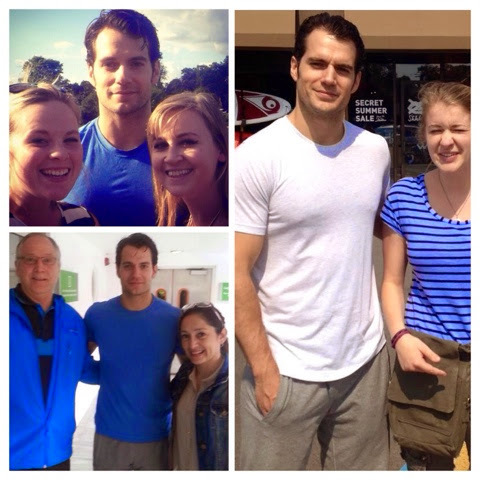 Henry with a fan as he wrapped up his vacation last weekend. 1) Joy: A new Henry fan pic pops up on social media and you can't contain your excitement, exhilaration, and Taylor Swift-like giddiness. Life is good. 2) Contentment: A few days have passed and you still can't stop smiling. Everything is right with the world. 3) Withdrawal: You start eating too much junk food (no? just us?) as you begin to wonder when the next pic will hit. The uneasiness starts sinking in. 5) Non-gif SOS: You turn to social media for help, because what else are you supposed to do as you wait for the next pic to hit but reach out to the internet for support. Yeah, that bad. 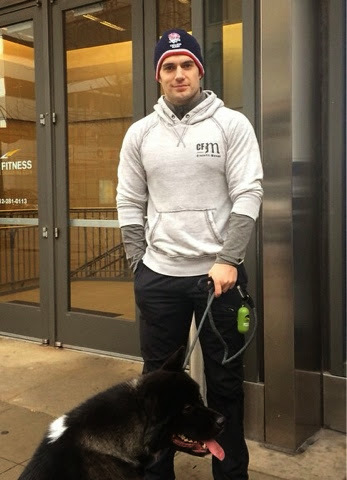 The start of a new year is always an exciting time at Henry Cavill News, because as much as we look forward to what we know is coming (Stratton filming, The Man From U.N.C.L.E. 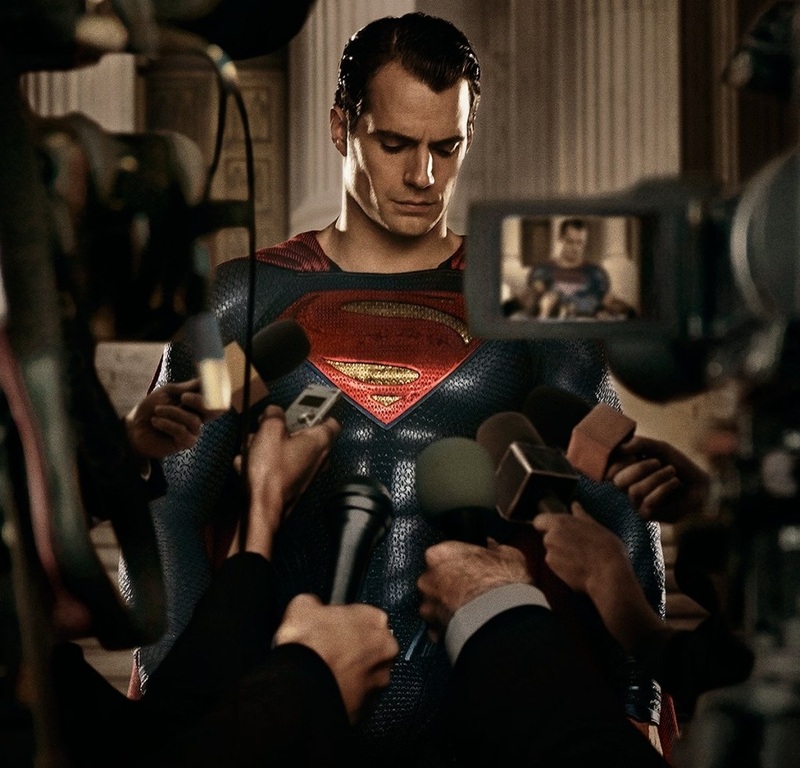 release, Batman v Superman promo) it's those unexpected announcements that leave us feeling like we just hit the jackpot, every time! 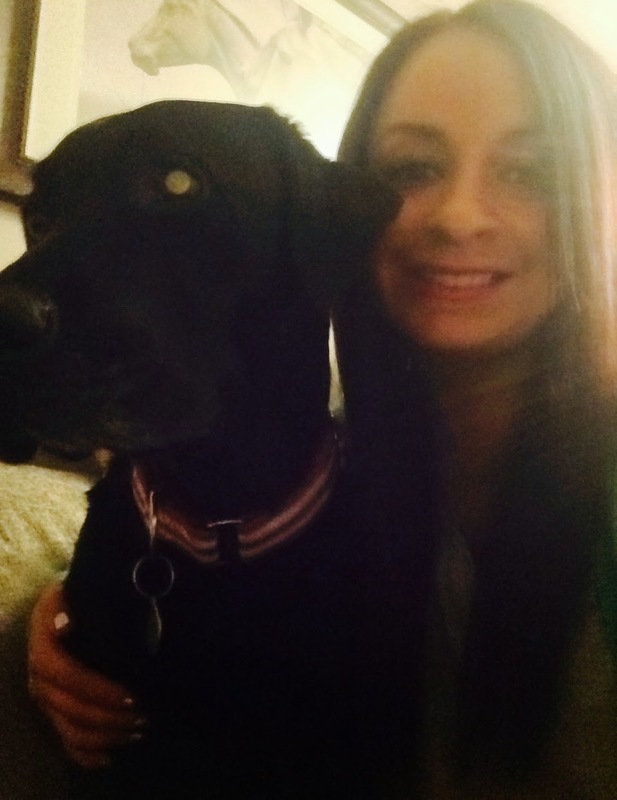 As we wrap up 2014, you've been very vocal about who should win Fan Pic of the Year. Now we want to know what was your favorite Surprise Announcement of the Year. Let us know in the comments section below, or reach out on our social media accounts. We'll include your picks in our year-end review. Here are the finalists. 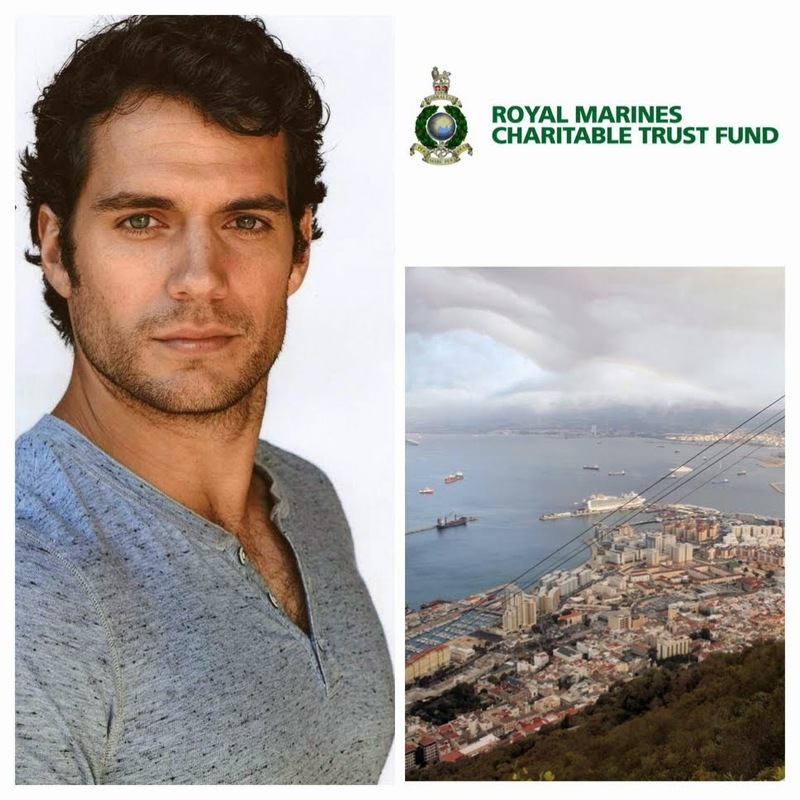 1) Henry becomes ambassador for The Royal Marines Charitable Trust Fund. 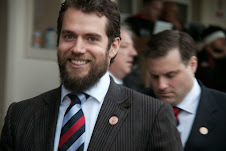 It was a quiet Monday morning in late May, when the RMCTF tweeted the news that had us cheering for Henry. Not only did they announce he was their new ambassador, they also shared the video where he took on that role for the first time, launching the last leg of the Royal Marines 1664 Challenge. 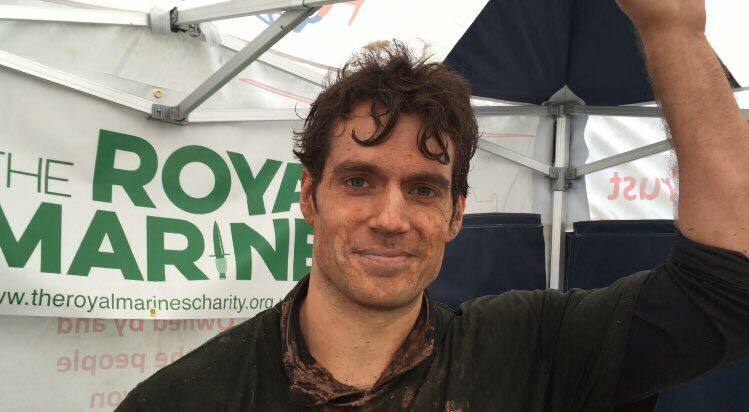 In July they gave us a first look at Henry as Clark, as he supported the charity from the set of Batman v Superman, and a month later we got to break the news that he was participating in the Gibraltar Rock Run (and what an amazing event that was). We can't wait to find out what 2015 will bring! 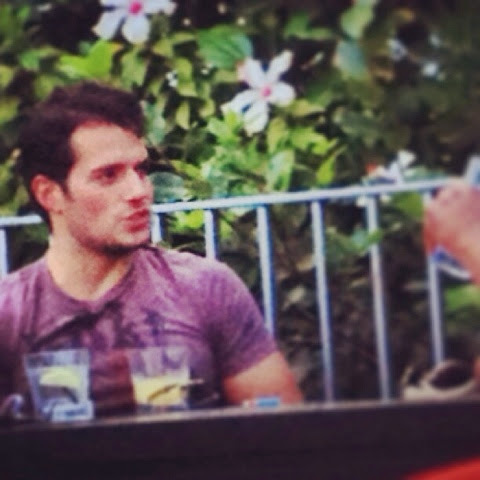 2) Henry and his 'Batman v Superman' costars surprise the crowd at Comic-Con. Okay, this wasn't reaaaally a surprise, since "Super Jedi" was a big clue that something was brewing. But the crowd in Hall H still went wild, as Ben, Henry, and Gal took the stage for the first time together -- and we got that teaser that fans are still talking about. The countdown is on for July, 2015. 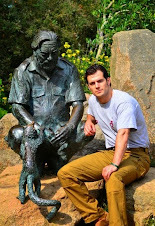 3) Henry becomes the first ambassador for the Durrell Wildlife Conservation Fund. 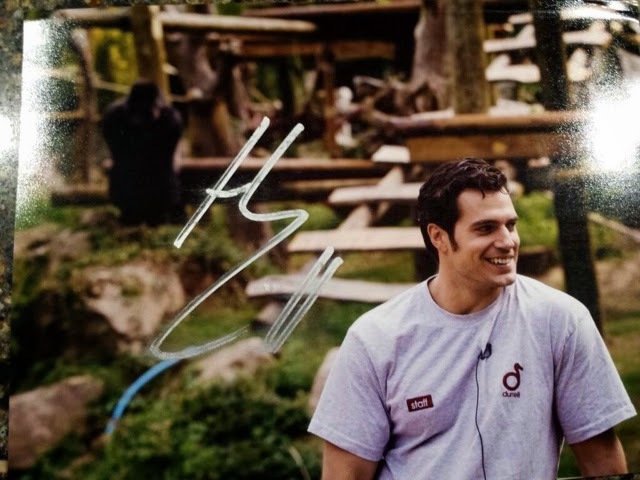 Just when we thought the summer couldn't get any better, we found out Henry was throwing his support behind his hometown charity.. and it involved a cuddly family of gorillas! -- and bats, and tortoises, and some *clearly* starstruck lemurs. The best part? 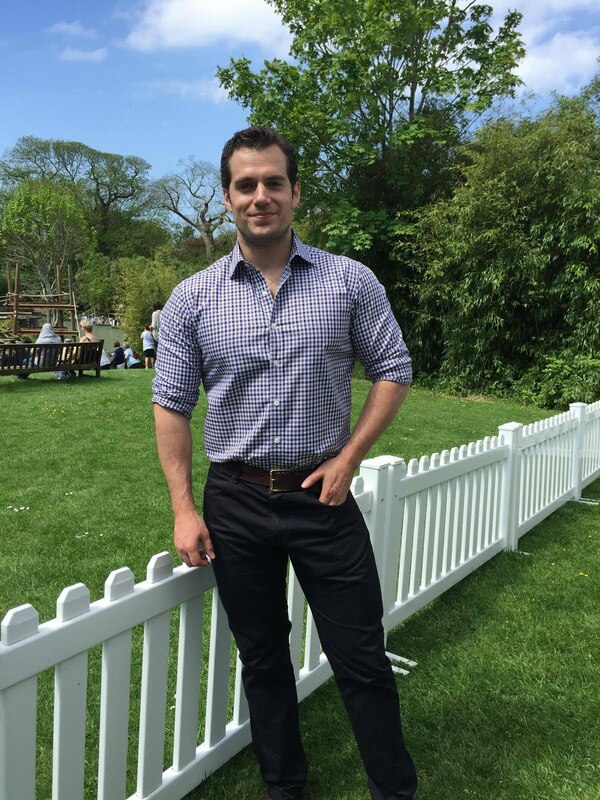 cavillconservation.com is just getting started! 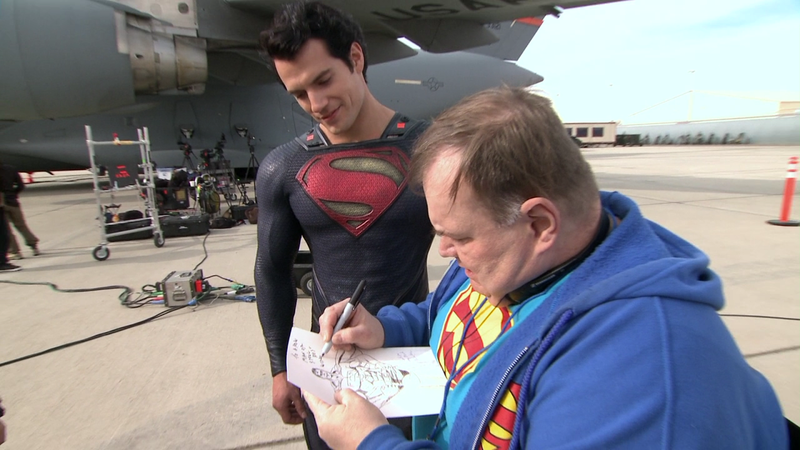 One chilly Superman, all for charity, and we still can't stop watching. 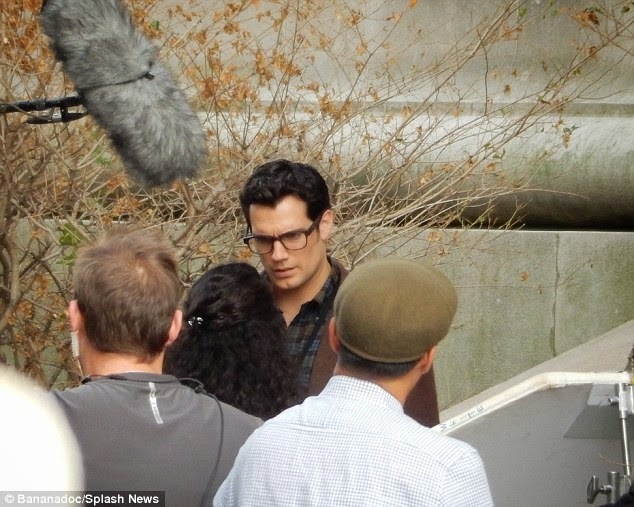 5) Henry launches production company, and his next role is revealed. Holy moly, this man just doesn't stop. After going straight from filming on The Man from U.N.C.L.E. 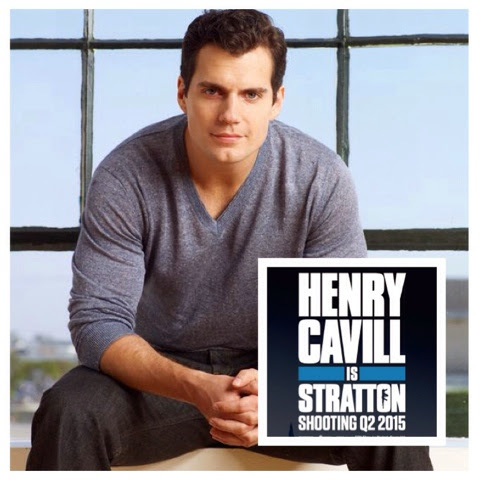 to preparing and then filming Batman v Superman, in November we found out he's also taking on producing duties for his next film, Stratton. 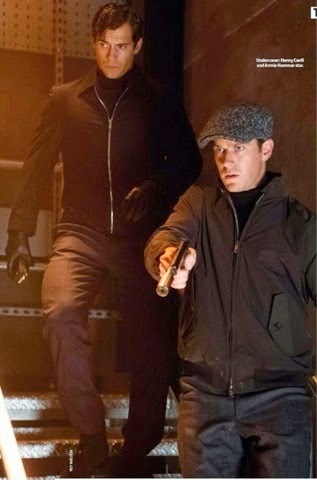 The movie is based on the books by Duncan Falconer, in which he'll play the action hero who's an operative of the SBS. 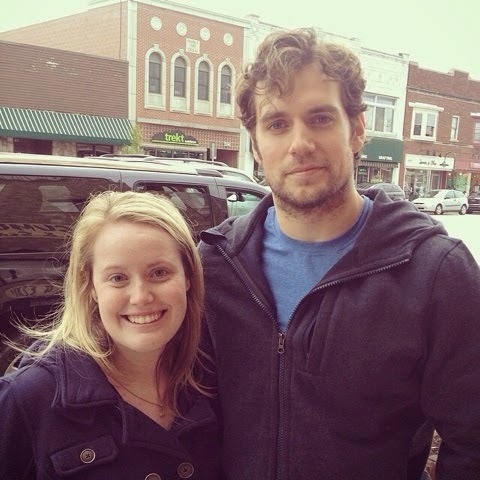 Filming is set to begin in the spring, and Henry is already preparing for that role (and we're guessing the new 'do will stick around for that). 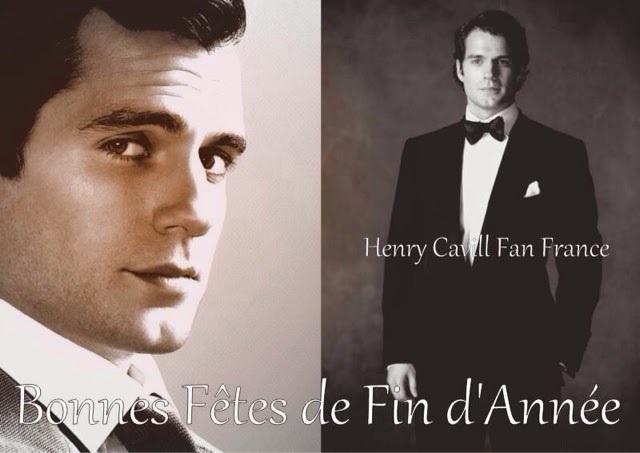 So there you have it, the five huge surprises we think made this year SUPER special for Henry's fans. Let us know which one was your favorite, as we look forward to whatever 2015 has in store for us. Go Henry! 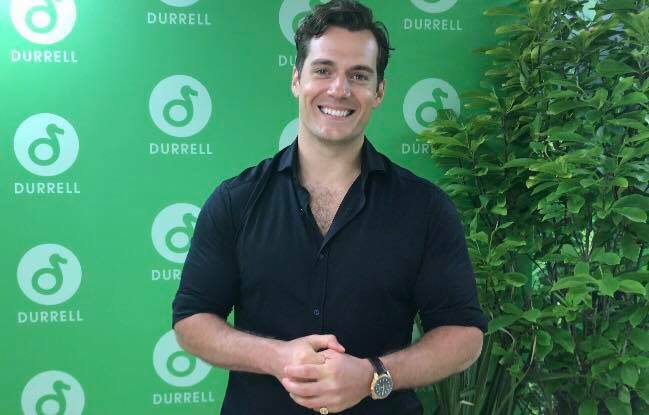 We wanted to take this opportunity to thank you once again for your amazing support for Henry and the two charities he represents as their ambassador. 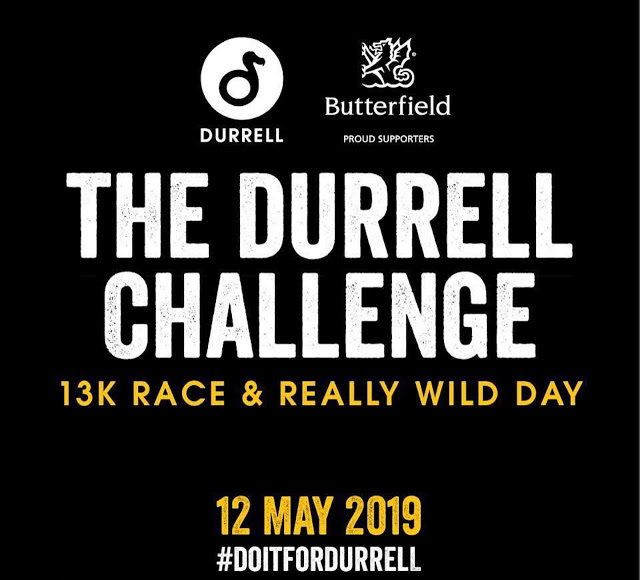 Durrell Wildlife's programs around the world, make a difference in the lives of thousands of endangered species, starting with the animals at their park in Henry's hometown of Jersey. Watch Henry's adopted Gorilla family enjoy their holiday treats, and keep checking cavillconservation.com for updates and the many ways you can get involved in helping him, support the charity. The Royal Marines Charitable Trust Fund is dedicated to supporting serving and retired Royal Marines and their families. "I chose to support this charity, not only because of my obvious familial connection, but because of the deep respect I have for the Royal Marines as men and as a corps." Henry's message on his fundraising page, today reminds us why helping him achieve his goal is a must. As we enjoy our quality time with our loved ones, we don't forget those who won't get that opportunity this year, because they are working to ensure peace around the world. 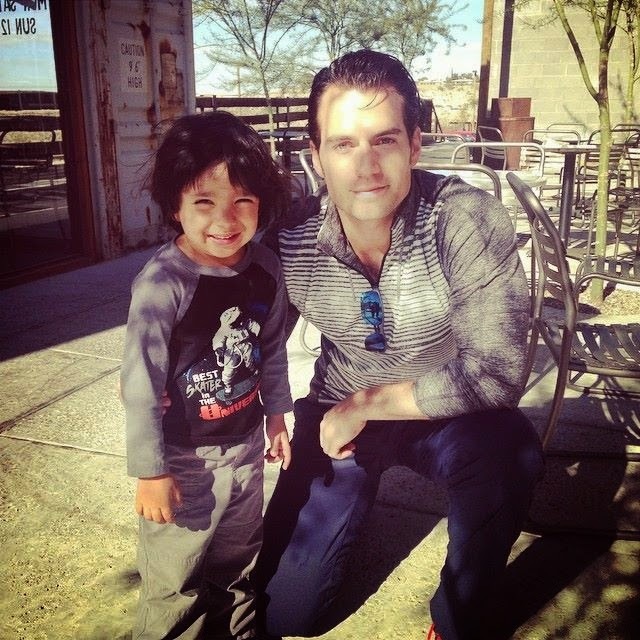 Finally, thank you, thank you, thank you, for taking the time to send in your awesome messages for Henry. His Christmas card is filled with warmness, happiness, and generosity, and it's all because of you. Bring on 2015! What do you give a man who gives so much of himself to his fans? - This Christmas we just want to make sure Henry knows how much he's appreciated, and how his words and his actions make a difference in the lives of others. So we asked you to send in your holiday wishes for him. The results were truly humbling and overwhelming. Sandra L Rempel Henry, here's wishing you and your wonderful family a very merry Christmas with lots of health and love. From a devoted fan, Sandra in Salmon Arm, British Columbia, Canada. Christina L. Klimes Happy Holidays Henry! Lots of love and best wishes sent your way. Looking forward to seeing all your great projects in 2015! 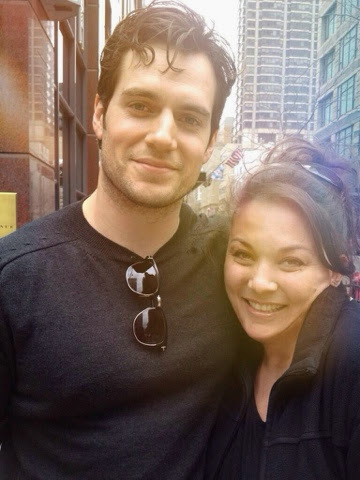 Bernadette Cychner Hope your holidays are wonderful, and I can't wait to see MAN FROM UNCLE, next SUPERMAN movie, & THE STRATTON movie. 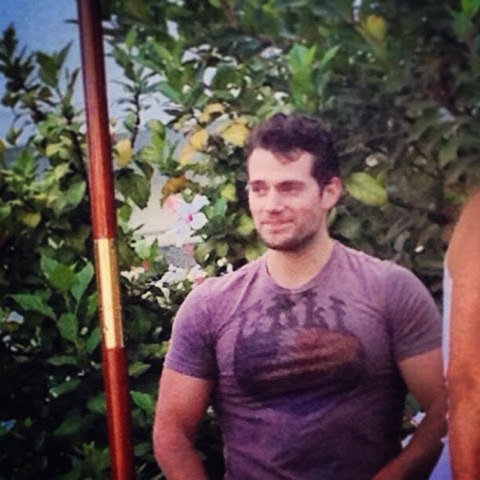 @HenryCavillNews Hope Henry is training hard for next year. Happy Christmas #Dunhill v #Cavill #uphill #ChristmasTruce!! 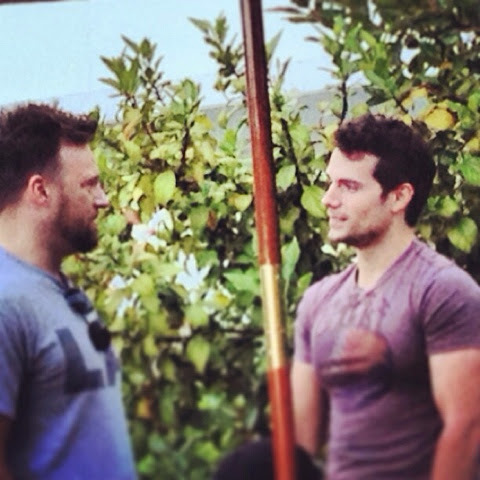 I truly do hope that Henry has a wonderful Christmas and Happy New Year. He's been a true inspiration for someone like myself which is why I joined this school to begin with, so I gathered a few students as well as some staff and classmates from school together to send him a message of pure joy this coming holiday and I hope he gets it because he deserves many good tidings and warm wishes. Thank you Henry, From the bottom of my heart and several others at the Toronto Film School, we wish you all the best in your future endeavors. Hope you Enjoy the video! 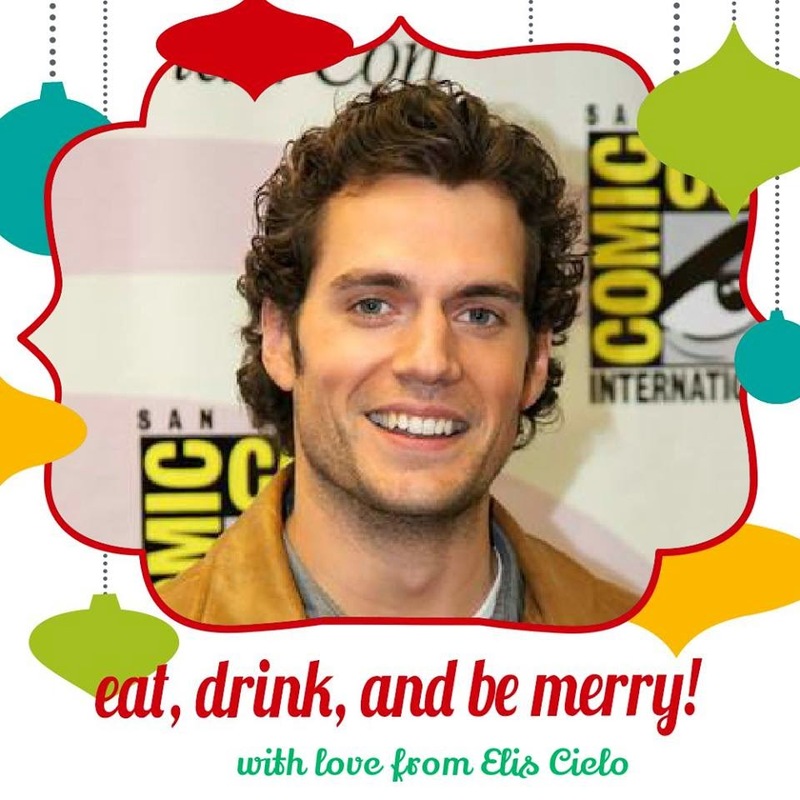 Merry Christmas Superman: http://t.co/xqhC3WpNyU via @YouTube #MerryChristmasHenryCavill @HenryCavillNews Merry Xmas 2 Supes From T.F.S. 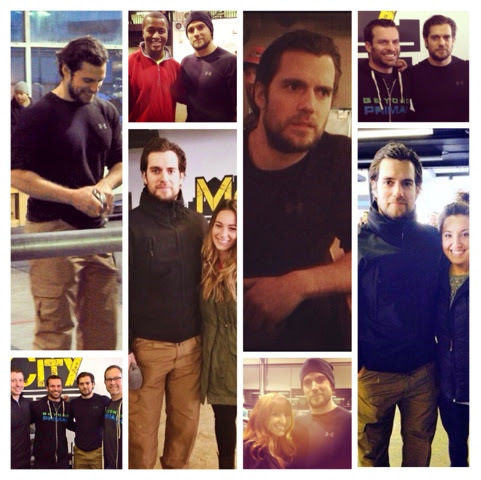 @HenryCavillNews Henry your humble presence has been the biggest surprise for me.Wish you all the best for Christmas. My only wish is YOU! 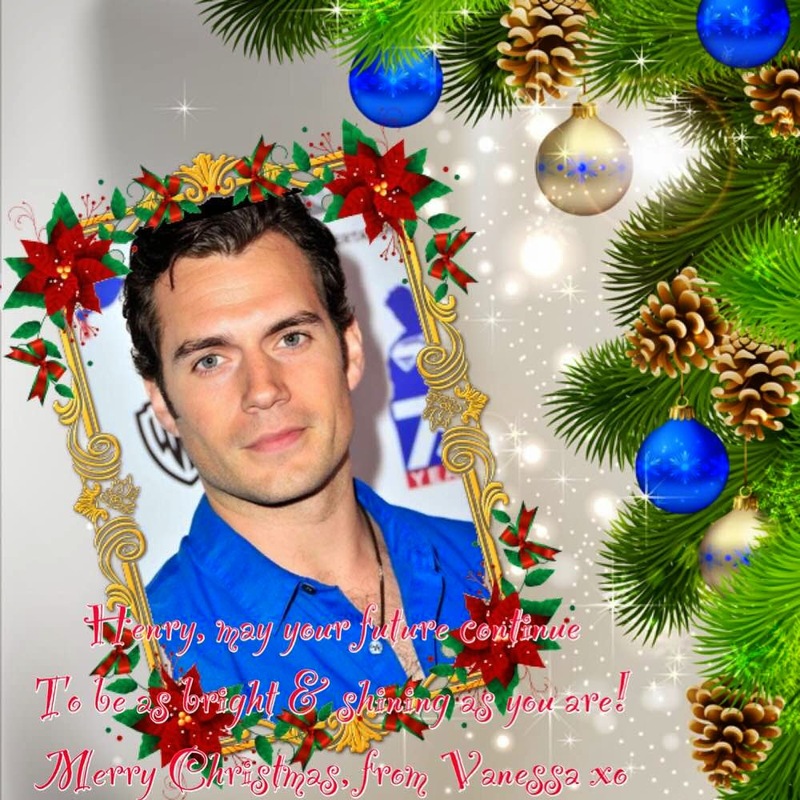 @HenryCavillNews merry Christmas Henry & have a wonderful 2015. May it lead the way to a bright and prosperous New Year! Flora Oncada From Covina,California, Merry Christmas and A Happy New Year, Henry!!! 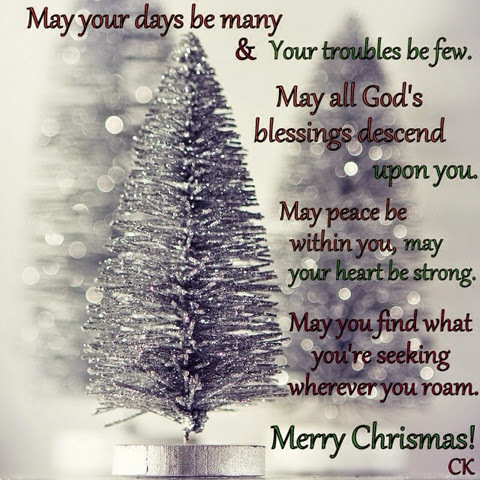 Karen Sanchez Happy Holidays and wishing you many blessings for 2015!!! Vania Crb Henry,Feliz Natal,e um Ano Novo cheio de boas vibrações,com muita saúde e paz e muito amor a você e todos os seus!!!! Roy Henderson Merry Christmas Superman! I have to confess that I first was drawn to Henry because of his looks but I realized he was good on the inside just the same. His looks might have grabbed my attention but it was his humility and good nature that kept me interested. I hope you have a wonderful Christmas and New year and get to spend time with your family. Dear Henry, I wish you a merry Christmas and a happy new year. May all your wishes come true. May this Christmas bring you lots of success in your career. Thank you for this wonderful year. You are so generous with your fans. Thank you for all the time you give for photos and smiles. And what a smile! The best thing in the world. I like your support for Durrell Wildlife Park in Jersey. I encouraged you with my mind for the Gibraltar Rock Run. 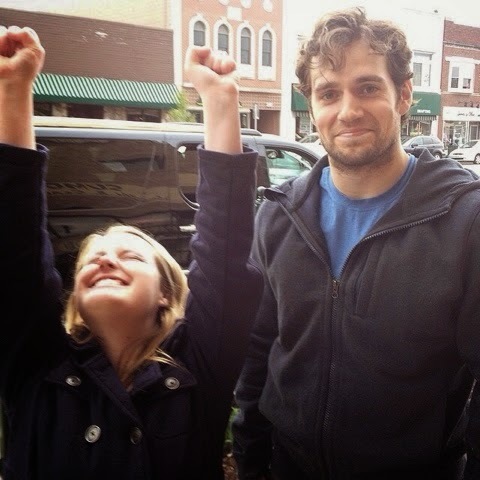 You are incredible Henry. You are wonderful. Merry Christmas Henry and to your family. I look forward to have news from you but I'm glad to know that you are on vacation to enjoy your family and friends. Merry Christmas Henry and happy new year. I wish you all the best. Henry is great! Sorry for my English. 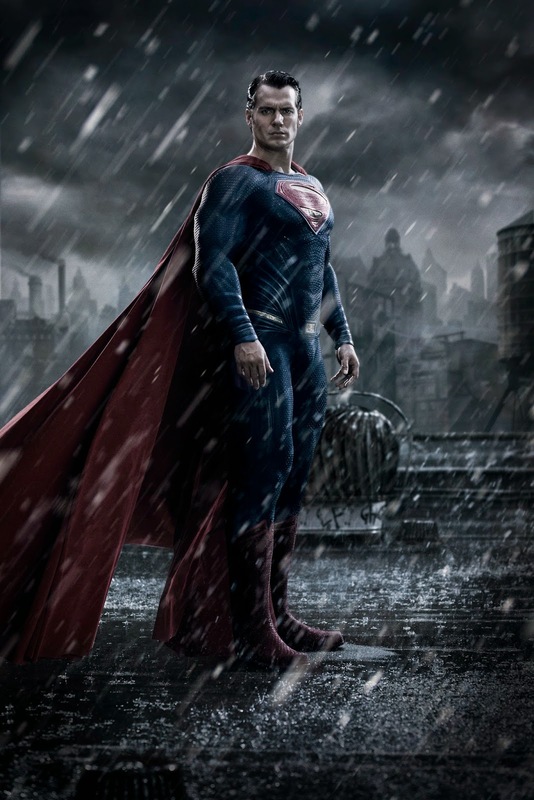 Merry Christmas to the Man of Steel! 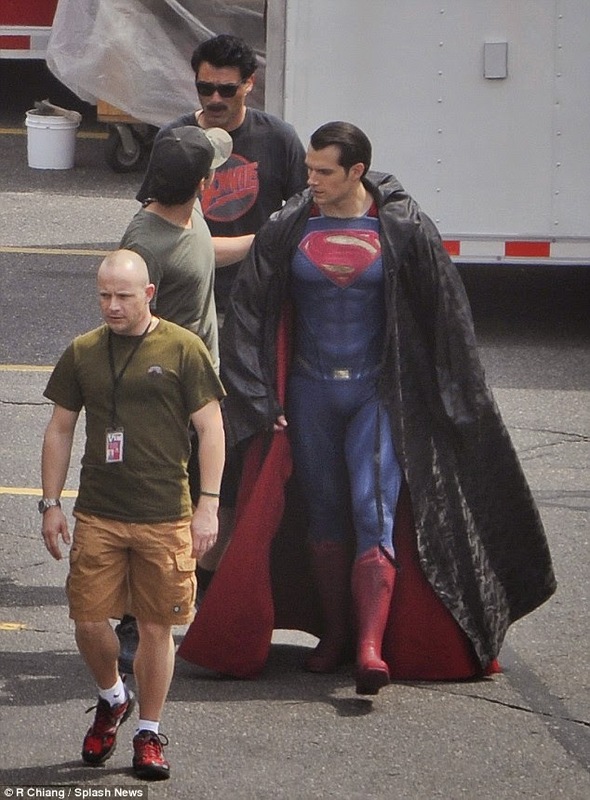 Cause Henry, you really are Superman to me. You've done so much and you are genuinely kind. 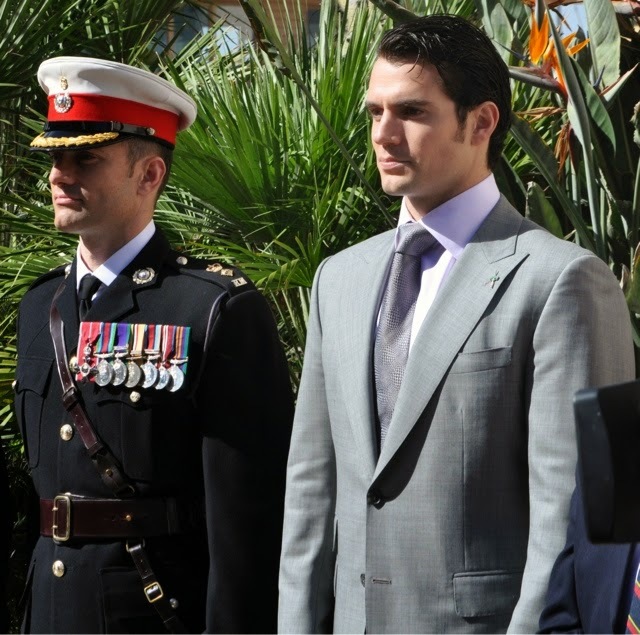 I admire you with your work for Durrell's Wildlife and the RMCTF! It's so inspiring for us. You are very a great person, the world needs you and we need you as well. 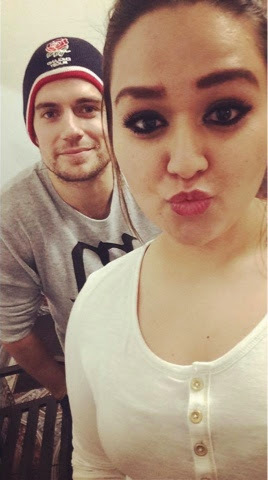 You are so sweet with your fans, it make my heart melt with love. I wish you the best, and that 2015 will bring you the best. Happy holidays to you and your family, Henry. Love from France! - Clementine. 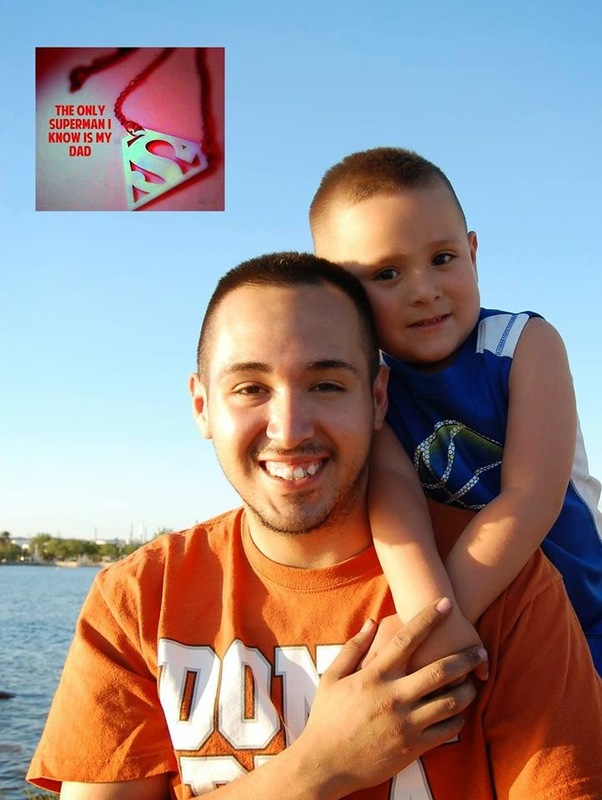 On Dec. 2nd, you posted Henry's fan of the month, Dominic-Xander Gonzalez. That little fellow is my grandson. As soon as my sister notified all of us about the post, the entire family was calling, texting, or messaging each other. There was a lot of laughing, smiling, and tears. Dominic was thrilled to be on Superman's page. I just wanted to take the time to thank you for what you did for him. He tries to be strong but I know he still has a lot of questions about losing his dad (my son). We're all healing slowly and you helped us all along the way. This is what you mean to people Henry, this is how you make a difference every day. We hope you have a very Merry Christmas, and know that you have our unconditional support now and always.